For a soldier, being able to rapidly deploy, or indeed have access to an already deployed surveillance asset is of paramount importance, and the timeliness of access to such a capability is key. Such a requirement was observed during recent combat operations in Iraq and Afghanistan. The US-led interventions in both these countries saw significant operations in urban environments. This called for the overwatch of an area to provide immediate intelligence regarding the situation that personnel were about to enter. However, this requirement did not remain exclusive to these operations, as current theatres, such as ongoing US-led operations against the Islamic State of Iraq and Syria (ISIS) in both these countries, plus the ongoing requirement for nations to protect their borders as is prevalent throughout the Asia-Pacific, adds to the requirement for surveillance bolstered by overhead capabilities: “Most countries are interested in strengthening their security both in the coastal and border areas that they have with other countries,” observed Hagay Azani, Controp’s vice president for marketing and sales. This is true for most nations around the world, as border disputes and the rise of political violence continue to be a problem for several countries within and without the Asia-Pacific region. Such security considerations have enhanced the importance of dismounted ISR (Intelligence, Surveillance and Reconnaissance). Dismounted ISR can be provided in a number of ways, ranging from ground-based sensors to Unmanned Aerial Vehicles (UAVs), satellites and aerostats. While satellites are classified as fixed infrastructure, the ability of deployed troops to tap into them and receive ISR information on the move is a key capability. Textron Systems’ geospatial division develops a range of analytical tools that can help process a number of data feeds, which can be fed to an observer to provide a common operating picture while on the move. 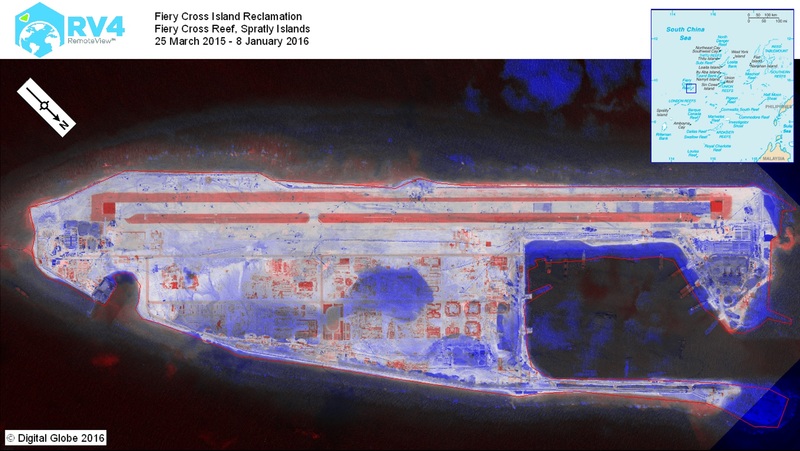 For example, the firm’s RemoteView software takes in a host of different data feeds (such as imagery streams delivered from satellites and UAVs, for example) which can then be exploited to plan missions and execute different objectives. He continued that there is now an influx of small commercially-owned satellites becoming available, which are offering a high enough standard of resolution for military use, such as DigitalGlobe’s WorldView constellation: “The challenge falls on us to take that data and make it useable,” Mr. Madden said: “As we see this wealth in geospatial data, we need to create the tools to process it. In the end, the user just wants an answer to a question.” The access to information that users want varies from a quick view of a particular real time image while on the move, to a more disseminated picture of a particular area and the change in those images over a period of time: “Each country is now realising that they want to keep an eye on their neighbours,” Mr. Madden noted. With geospatial intelligence requirements on the rise, Textron’s RemoteView product line provides analysis of different data sources to allow operators to disseminate information and to use it effectively. The tender for this ultra-long-range system was released and awarded in 2014, but the company began work on it prior to that: “First, the sensor; we knew our customer required a SWIR sensor because when looking at far distances, the day channel which has some atmospheric limitations, essentially does not do the job,” Mr. Azani continued: “The SWIR technology, which of course was known to the market but was not applicable at the time for these kinds of observations and applications, needed to be taken off the sketching table into the actual design and development programme work, and eventually be integrated into a camera.” The SWIR technology had not previously been used for this application by Controp or anybody else, the company says, but this type of sensing lent itself to reducing the burden laid on the thermal imager. Many systems rely on the thermal imager in a multi-sensor observation system like this to carry out surveillance in harsh atmospheric conditions when the conventional camera struggles to operate, which in turn shortens the lifespan of the camera. This is because it puts pressure on the system’s cooler, which is the most sensitive element of the camera, and if this is operated constantly, the camera will have to be repaired every six months or so: “The SWIR channel allows the operator to see extremely well through those bad atmospheric conditions,” Mr. Azani said. A new technology that could help change the way soldiers receive ISR information on the move is through High Altitude Pseudo Satellites (HAPS). 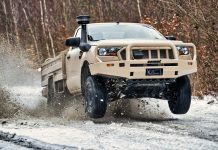 The most prominent technology to this effect is Airbus’ defence and space division’s Zephyr UAV that can fly overhead for days on end to provide intelligence and a communications relay to soldiers below. Three Zephyr examples have been purchased by the UK Ministry of Defence (MOD) for an Operational Capability Demonstration (OCD), the first two in February 2016 with a third option under the terms of the contract executed in August 2016, under a $15.2 million contract, according to the MOD: The: “Zephyr is a cutting-edge, record-breaking piece of kit that will be capable of gathering constant, reliable information over vast geographical areas at a much greater level of detail than ever before,” the UK’s secretary of state for defence Sir Michael Fallon said in August 2016. The OCD is on track to be carried out in the second half of 2017, an Airbus spokesperson told Asian Military Review, during which the MOD will assess the operational capability of the aircraft. All three examples are new-build aircraft that will be owned by the UK government, but what will happen after the testing is yet to be determined, and little detail on the progress of the OCD is expected to be released until after the testing. The concept of Zephyr resonates with the use of a high-altitude, long-endurance UAV such as the Northrop Grumman RQ-4B Global Hawk UAV, which flies for long periods of time and provides intelligence on what is going on over large areas and ranges. The difference with the Zephyr is that it is self-propelled by solar power, so is more energy efficient, and can stay aloft for longer periods of time. The downside comes from the size of its payload, which is approximately eleven pounds (five kilograms), Airbus said, so the UK government is sponsoring a number of efforts to develop technology that can be used on the Zephyr. The MOD announced in April 2016 that its Centre for Defence Excellence had funded a number of studies into different technologies, including a foliage-dispersing radar, software-defined laser radar, synthetic aperture radar and optical systems that would be suitable for the lightweight airframe. Additionally, Roke Manor was contracted at the end of 2014 to develop a communications payload for the HAPS aircraft, funded by the UK government’s Defence Growth Partnership (DGP) which works to develop affordable capabilities for the UK armed forces and international customers, the DGP website notes. Over distances of 27 nautical miles (50km), Roke Manor’s High Altitude Cellular Communications payload will communicate with ground-based cellular infrastructure, transmitting high-bandwidth, real-time images and video, the company said. The payload uses commercial off-the-shelf third-generation cellular communications technology, to transmit to a defined point on the ground. 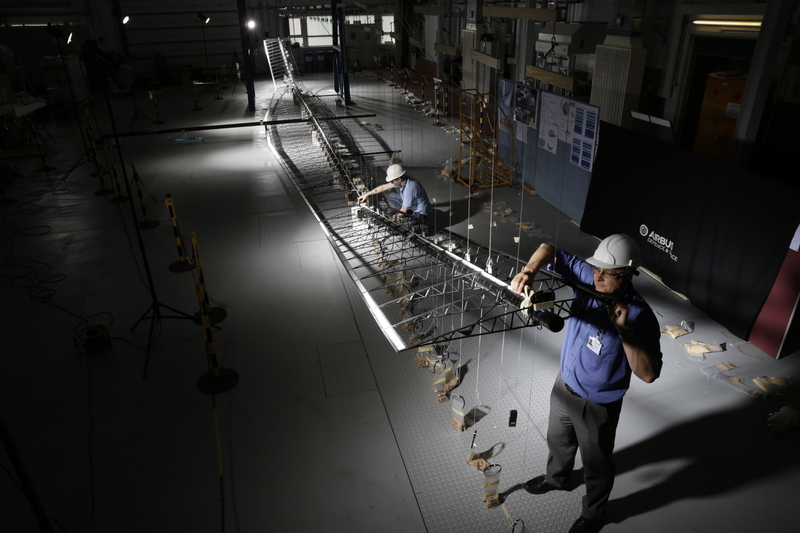 While the development of this will ultimately be applied to the Zephyr programme, neither Roke nor Airbus were able to provide comment on the progress of the payload development, other than to say more detail is expected to be released once testing is complete. Airbus, meanwhile, is developing a twin-tailed variant of the HAPS dubbed the Zephyr-T, which will allow it to carry four times the payload capacity of the Zephyr-S (or single-tail). This, the company has said, would allow a radar to be integrated onto the airframe. Airbus is testing a scaled-down version of the Zephyr-T in parallel to focusing on fulfilling the MOD’s requirement, and a first flight of a full-scale variant is expected in 2019, the Airbus spokesperson added. The Zephyr-T development is customer-driven, the company says, with interest coming from all over the world. The Asia-Pacific is a significant area of interest for the larger system, and while the spokesperson could not discuss payloads, it is expected that a maritime radar on-board the Zephyr-T could be of interest to customers in the region. 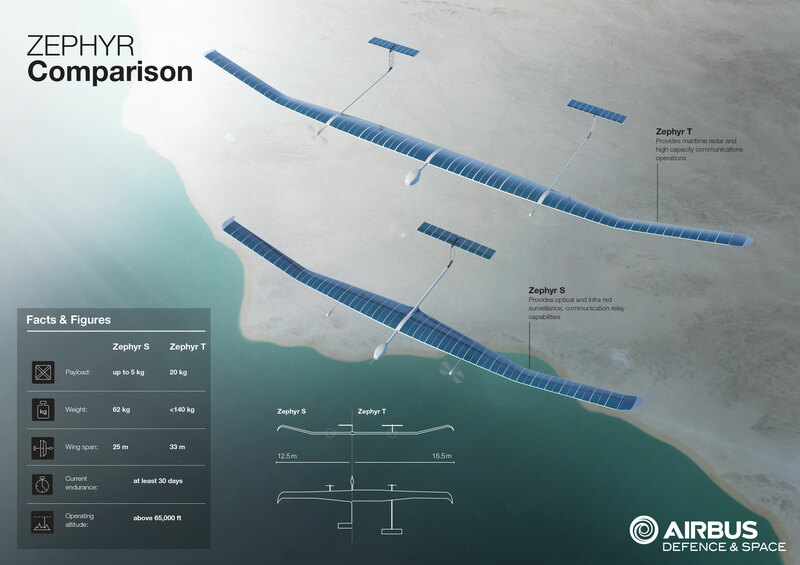 The Zephyr-S OCD that is planned for later in 2017 will involve a limited amount of payload testing, Airbus said. 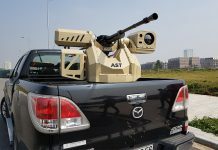 In an effort to move away from stovepiped ISR capabilities for dismounted troops, by which information is not federated when it reaches the hands of the soldier, in June 2016, Elbit Systems revealed its new ISTAR (Intelligence, Surveillance, Target Acquisition and Reconnaissance) Dismounted Solution (DS), that it claims is a “holistic ISTAR solution” designed for forward-deployed troops. The ISTAR-DS is a hardware and software combination designed for use by artillery observers, joint terminal attack controllers and special forces: “Utilising the latest in surveillance technology, the ISTAR-DS effectively synergises various systems and assets into an all-in-one ISR solution, giving decision makers in observation posts the ability to quickly process and disseminate information collected from various platforms and sensors, and as a result, allocate the required munitions for the specific target, at the right time,” the company told AMR. 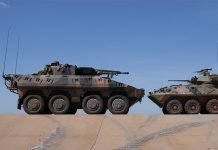 It can coordinate fighters, helicopters and unmanned aerial vehicles, using a handheld mission computer that is central to the system. The ISTAR-DS is designed around a number of other Elbit products, including a long-lasting battery pack and hand-held video downlink terminal. 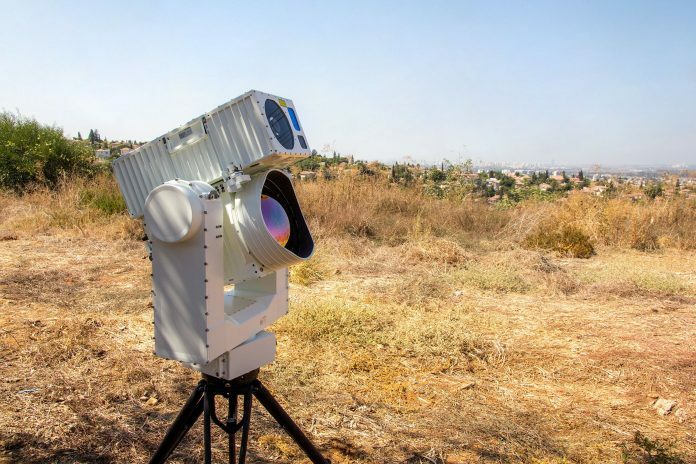 The Elbit sensor systems that are incorporated include the Supervisir wide area persistent surveillance system, the Skylark mini UAV, plus multiple sensors including the LVSW-D laser designation system, SWIR and forward-looking IR. The: “ISTAR-DS is a unique solution that offers dismounted teams an independent intelligence collection and analysis capability for immediate target engagement from the ground, air or sea,” said Elad Aharonson, general manager of Elbit’s ISTAR division. While the operational environments that troops find themselves in is changing due to the nature of the threats they face, the need for intelligence has always been, and will continue to be, the key to mission success. Quick access to the most up-to-date intelligence is paramount to achieving a tactical advantage, as the situation can change in mere minutes. While the need to have access to this information remains the same, the way in which intelligence is acquired and presented to the soldier is what continues to evolve. Today, commanders are provided a wealth of different inputs to help gain the information that is needed to complete the mission, and to keep their troops alive. As this article has shown the need to gather intelligence using innovative means like SWIR or HAPSs remains as important as the need to appreciate this intelligence in a clear fashion using innovative software.